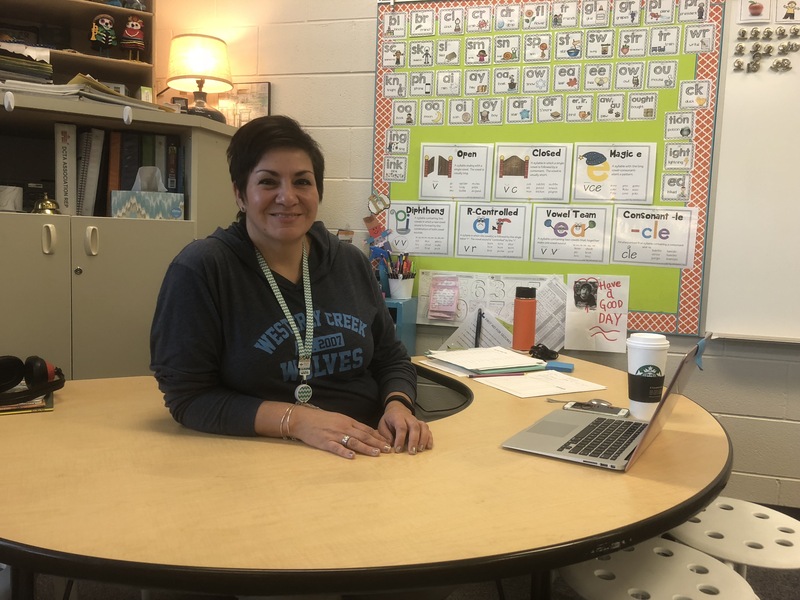 The best part of being a teacher, according to Westerly Creek Elementary first grade teacher Suzanne Hernandez, is when you know you are making a difference in a student’s life. Unfortunately, the opportunity to make those connections is increasingly difficult in today’s increasingly crowded and time-crunched classrooms. Suzanne began her educational career nearly 20 years ago working as a para within DPS. With three young children at the time, she relished the opportunity to shape young minds. Suzanne’s teacher colleagues recognized her talent in the classroom and encouraged her to pursue teaching as a profession. As a result, Suzanne joined the profession full time in 2008. Now with nine years teaching under her belt, Suzanne continues to battle with the pressures that teachers throughout the district face every day: overcrowded classes, unrealistic demands on time, increasing responsibilities and a disconnect between administrators and the real-world burdens of teaching. In addition, teachers must accomplish all this while working for sub-standard compensation in many instances, Suzanne said. The inconsistent support schools receive across the district also contributes to teacher frustrations. “Some schools are simply amazing and well-supported while others are struggling to provide materials for teachers and students,” Suzanne said. Still, despite all of the challenges, Suzanne knows her teaching is making a difference in the lives of students. And that is what matters most. A story from her first year as a classroom teacher exemplifies this point. The experience continues to pay dividends both for the teacher and her students. “I’ve had many of those students, who are now teens, come back and tell me how much they enjoyed reading and writing about her,” Suzanne said. Today, Suzanne’s three children are grown – and she has one “brilliant” three-year-old grandson to spoil. She lives in Denver’s Park Hill neighborhood with her snowshoe Siamese cat, KittyCat – and enjoys Colorado’s great outdoors via hiking, camping, fishing as well as attending concerts and relaxing with a good book.